There comes once in a generation an artist like no other. An artist that captures the hearts and minds of the masses; hears their cries and answers. A representation of the people! Trying to climb the hip-hop charts and vigorously attempting to make a name for herself, Lil Cli**y aka Lil C is here to introduce herself in her debut album, “Sweet Release”. So in a world of imitators, here comes the one true originator and what a sweet release it will be! 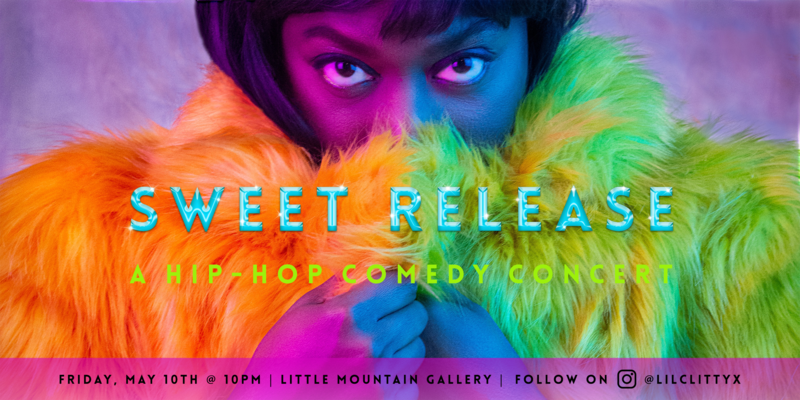 Sweet Release: A Hip-Hop Comedy Concert! Online price: $15 (admissions only) or $20 (admissions + album download) (prices subject to service fees)/Door price: $20 and $10 album download.